We can frame your artwork, photography, nautical map, diploma, canvas art and memorabilia! We specialize in custom printing and framing in a wide variety of sizes, colors and types from traditional to contemporary. We can print images up to 44 inches wide or tall and mount them using archival quality media and full UV protection with conservation glass. We can also frame treasured objects such as sports jerseys, medals, commemorations of all kinds in custom shadow boxes. We can match your decor in any style and color. Ask us about our canvas printing technology! Your images can be made into remarkable artwork using our expert retouching and special effects capabilities. Old family photos can be restored and color corrected to look like new! 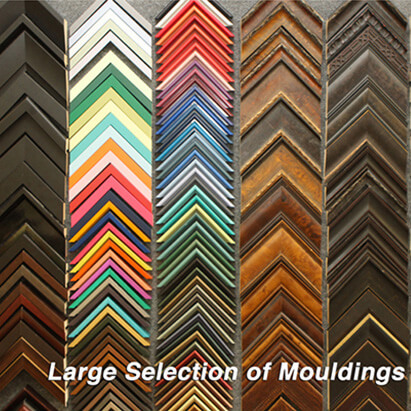 We carry a large selection of quality moulding at reasonable prices. 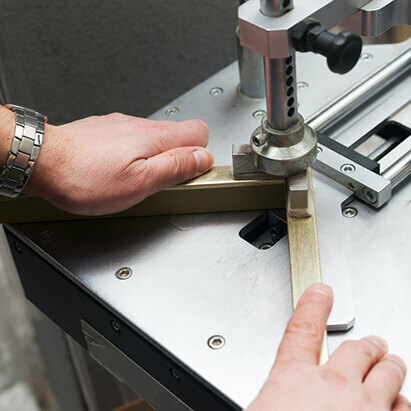 We offer very fast turn-around times on in-house selections. Same day turn-around available on certain selections. We are dealers for Larson-Juhl, Max Moulding, Studio, Omega and Decor. We sell Bainbridge, Crecent and Artique paper, fabric, silk and conservation matt boards. We offer glass options of premium, conservation, reflection control and museum grade. All pricing is available on-site using Lifesaver software. Packages with printing, dry-mounting, matting and framing are available for one-stop shopping which is unique in the Charleston Metro marketplace. We specialize in custom framing your artwork, canvas prints, photography, diplomas, posters, charcoals and much more! We have a large library of images for imaging on demand for sizes up to 40x60! We have Charleston photography, vintage photography, harbor charts, vintage harbor charts, vintage posters and much. much more! We are a one stop shop! We are a full service photolab that can also handle all of your custom framing needs. Come see the experts, no need to drive to multiple stores when it can all addressed in one store! We are a certified Larson-Juhl dealer!